"Reconfiguring China’s Environmental Governance Regime: A Highly Complicated and Decidedly Uneven Journey"
Abstract: In terms of its size, the Chinese economy has climbed to the top layer of the global pyramid and is currently positioned just behind its American counterpart, which it is commonly expected to overtake by the end of the present decade. This achievement is the product of a relentless drive forward spanning over three decades. It has not been a smooth ride in all respects because, inter alia, the “economic miracle” has been enormously costly from an ecological perspective. Wide-ranging 2014 adjustments to the Environmental Protection Law seek to remedy this situation. They constitute a necessary but — as matters stand, their unmistakable significance notwithstanding — not a sufficient condition for fully realising the goal of ecological modernisation, which requires broader and deeper institutional reconstruction. "Killing the Proverbial Two Birds with One Stone: New Ways to Expand the Comparative Law Methodological Repertoire and Enhance the Effectiveness of Inter-jurisdictional Environmental Governance Regimes"
Abstract: Comparative legal analysis, which was once deemed to be an esoteric and peripheral academic and professional activity, has significantly grown in scope and sophistication. However, its progress has not manifested itself equally across the board. Comparative law still lacks a solid methodological foundation and does not systematically address this gap by borrowing appropriate tools from other disciplines. There is no dearth of predominantly qualitative social science techniques that are suitable for the task. Some are more robust than others but, as the dissection of the Southern China governance regime for combating transboundary pollution illustrates, recourse to even the most rudimentary ones may yield valuable insights. 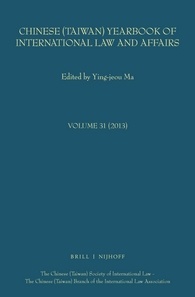 "The Intricacies of Implementing International Law: A Juxtaposition of Theories with the Actualities of the Sino-British Joint Declaration Regarding the Future of Hong Kong"
Abstract: International legal scholarship has developed into a multidimensional enterprise, possessing firm analytical underpinnings, as well as descriptive and evaluative ones. The conceptual element has loomed increasingly large on the research agenda in the past five decades or so. Several new theoretical constructs have emerged and have been brought to bear on a wide-range of relevant behavioral phenomena. Be that as it may, this has been an unbalanced process. The paradigms that have crystallized and have gained currency have not been combined in a genuinely synergistic and flexible fashion. The implementation of the Sino-British Joint Declaration, in a complex and rapidly evolving setting, arguably suggests that this is a notable chink in the analytical chain and that a more broad-based, inclusive, and eclectic approach is called for.